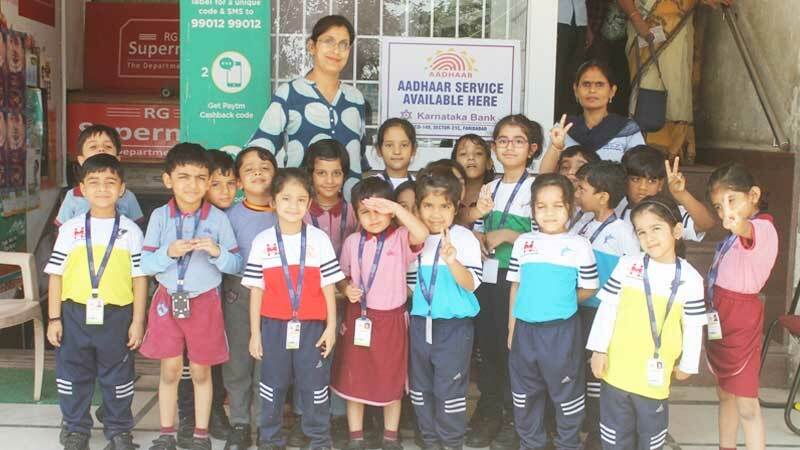 An EduTrip to Karnataka Bank for KG children of MRIS-21C, Faridabad was organized to introduce the concept of money and savings to our children on the occasion of National Savings Day. It was an enriching visit as the students learnt about why it is important to save money and how it can be done. 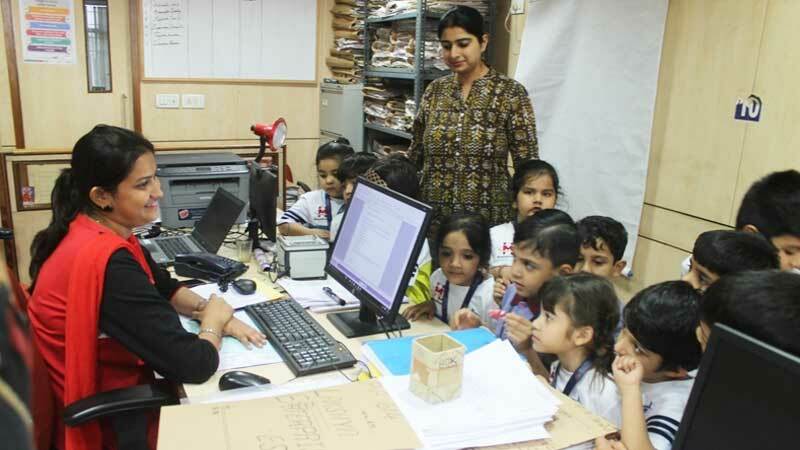 The children were made aware of the terms such as deposit, withdrawal, credit, debit, etc. They also witnessed the different counters at the bank in action. The teachers discussed with children about the purpose of ATM and also demonstrated how it can be used to withdraw money. It was a one of a kind experience for the children and they came back enriched.